Walk into a Lennys anywhere in the country, and a team member will immediately greet you with a warm smile on their face. Lennys was built upon the idea of engaging guests from the moment they walk in the door. 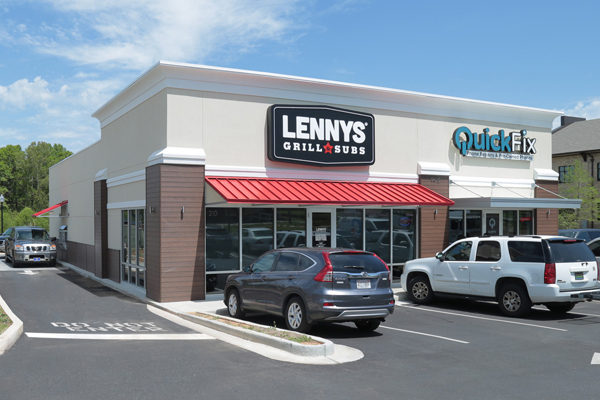 While many other brands herd their customers down a cafeteria line and then make them stand around waiting for their sandwich, Lennys does the opposite. We bring the food out to our guests. Our crew members offer free drink refills and samples of cookies, and we bus our guests’ tables for them after they leave. Our guests are made to feel welcome and to share in the feeling that Lennys is the local place where they belong. 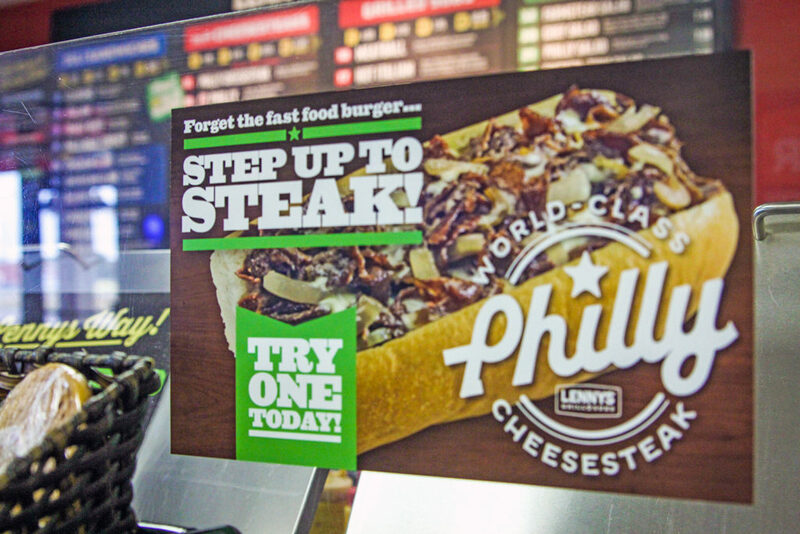 The Philly Steak Sub is Lennys’ number one selling product and still made from meat from Philadelphia. “If you’re going to have a world-class Philly cheesesteak, you must go to Philly to be able to get the meat,” adds Kevin. Our menu features Fontanini’s Chicago meatballs and Italian sausage. 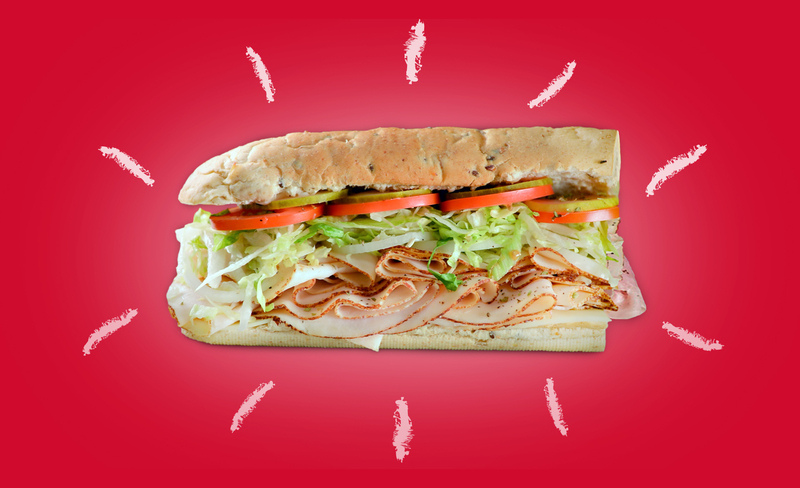 “We’ve looked around at other products, but we have not found anybody who beats the quality of that meatball sandwich or that Italian sausage that we just recently added,” says Kevin. And every sandwich is served on fresh baked bread made in each restaurant every day. The same bread has been used for over 12 years and comes from a Chicago based family-owned business. And they do such an excellent job on the bread, we asked them to produce our cookies. 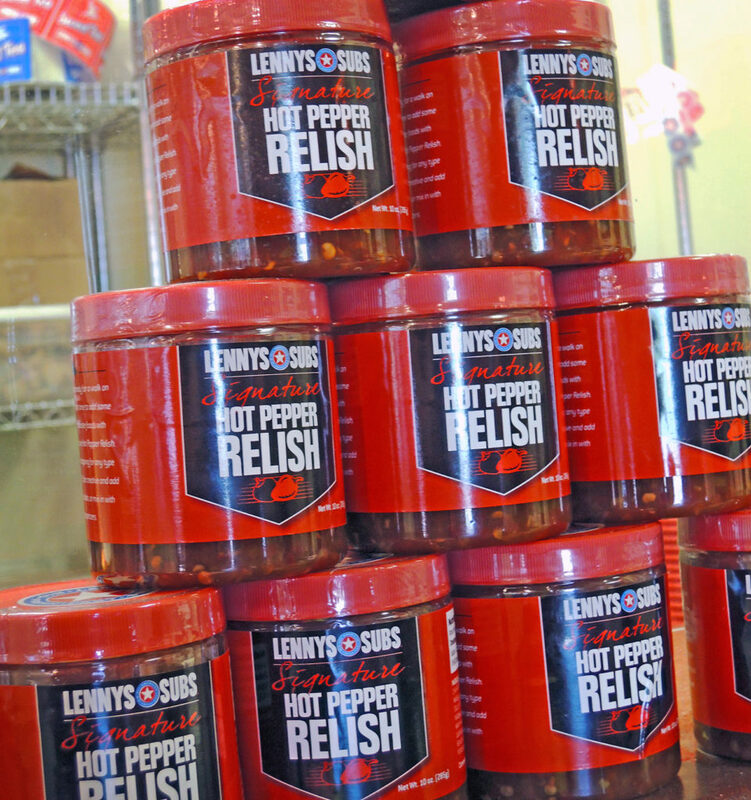 Finally, our signature Hot Pepper Relish is so popular on our sub sandwiches that we now sell it in individual jars for guests to purchase to take home or give as a gift. Our outstanding customer service starts when a guest walks in the door, and Lennys makes them feel appreciated. 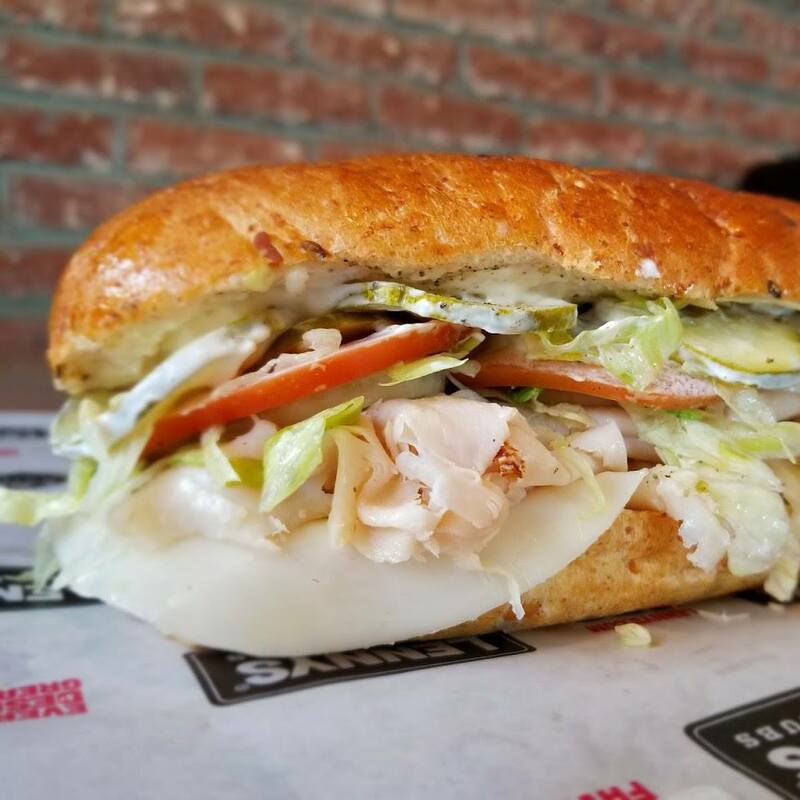 In a number of our restaurants, it’s not only that they know you by your name; they even know the sandwich that you normally order. “We’re trying to build that relationship that makes you think about feeling welcome and having the hospitality that’s going to bring you back. Then once you get up to the counter, it’s about seeing a product that’s being freshly sliced,” Kevin says. We take care of our guests, listen to them and empathize with them. When guests come in, we deliver an opportunity to customize the products that they’re getting in ways that are unique to them. “We find that some folks love Hot Pepper Relish on an Italian; some folks don’t. We’re really trying to listen and take care of what the guest wants,” Kevin says. 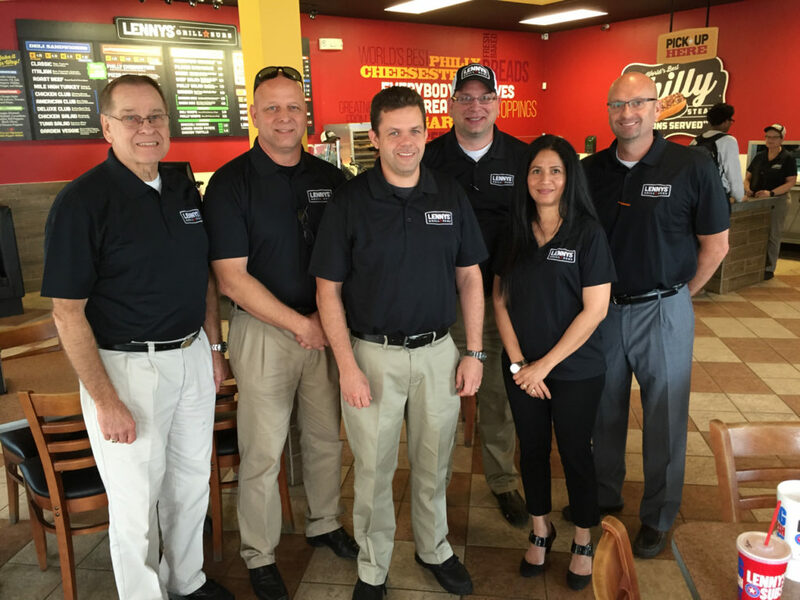 Lennys is always going beyond the food to create a warm and hospitable environment that will keep folks coming back. We want them to know that we appreciate their business. We thank guests for coming and let them know we look forward to seeing them again soon.